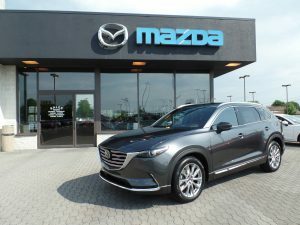 Mazda’s Grandest Expression of KODO Design has reached the dealership, the Mazda CX-9 has arrived. Fresh design and progressive engineering set this SUV apart from a common group. Forward thinking abounds through-out from the Mazda CX-9’s broad stance to it’s Dynamic handling.